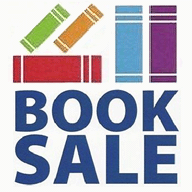 We’ve gotten so many book donations lately that the Friends are holding a Special Spring Book Sale, April 20-21! The sale will feature Fiction, Children’s Books, and Teen Books (sorry, no non-fiction, movies, or music this time – see us in September for those!). The sale will take place at the Town offices Gym, 50 Billerica Road, Chelmsford. We Need Volunteers – Click Here To Sign Up! If you’re willing to help out with a shift at the sale, please sign up to help! This will mainly be restocking books onto tables during the sale, but the very first shift and last shift will also help with setup and cleaning up. For more information, please contact Kathy Cryan-Hicks at cryhicks@comcast.net – and thank you!